is a PSA licensed and NSAI approved security alarm installer in Meath and the greater Dublin area. 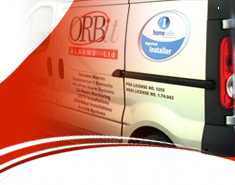 Orbit Alarms has over 15 years experience in providing intruder alarm solutions and CCTV in Meath and throughout Dublin. With systems tailored to suit domestic and commercial customers alike, Orbit Alarms combines state of the art technology with exceptional backup service.